The Kitchen Classics service area includes all of New Jersey, New York, Connecticut, Massachusetts, eastern Pennsylvania, and Delaware. 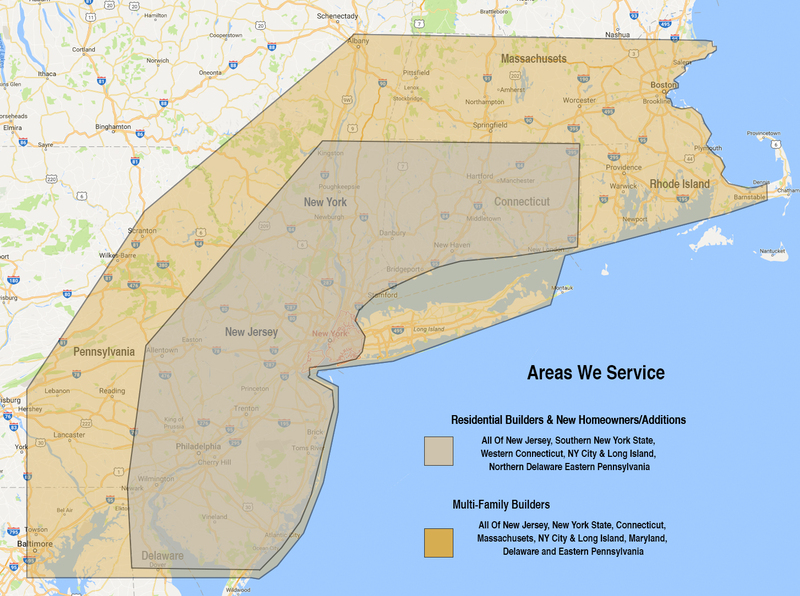 Single family residential work may be limited to areas closer to New Jersey (Such as NY and all Of NJ) but our multi-family work spans all 6 states. The Kitchen Classics service area reflects the strength of our business, the quality of our people, and our desire to to work with top quality builders, and renovators no matter where they work.